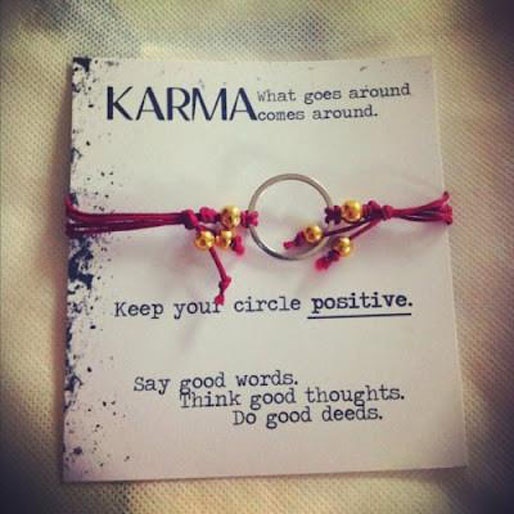 Due to some unfortunate circumstances in my current life, the cosmic principle of karma (often thought of as “what goes around comes around”) has been on my mind. More than ever, I find myself constantly wondering whether or not I believe in karma, and asking my close friends if they believe in it. Although karma is a key concept in many religions with its origins in ancient India, it is most commonly recognized as a fundamental doctrine in Buddhism. Although the word “karma” means “action, word or deed,” it also refers to the law of moral causation where the intent and actions of an individual influence the future of that individual. In other words, good intent and good deed contribute to good karma and future happiness, while bad intent and bad deed contribute to bad karma and future suffering. Based upon what I’ve been reading, our karma affects much more than just the afterlife. Our actions and deeds also affect our happiness and misery in the “here and now.” The possibility that one might have the opportunity to watch karma work her “magic” in this lifetime, in ways both good and bad, is quite appealing to me. Since I’m a vegan for ethical as well as health reasons, I can’t help but wonder if being a vegan helps my karma (if it really does exist). Not only do I abstain from eating and using animal products, but I’m concerned about the environmental issues surrounding veganism as well. 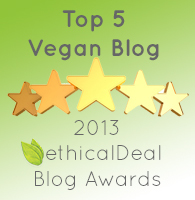 A few years ago I read an article in the Seattle Pi on the issue of karma and veganism. It was about “Jackass” star Steve O who claimed that he became a vegan to improve his karma after eating living things for so long. “One time I did something particularly nasty – I tried to hurt someone’s feelings with a text message. I heard a voice in my right ear say ‘You’re going to have to answer for that.’ Later I came across a You Tube video where this Krishna consciousness guy in India was talking about how it’s difficult for Westerners to be saved because there’s such little respect for life on the planet…. I’m chuckling right now while thinking about a “Jackass” star showing this level of depth, and becoming vegan to place his life on a better path. Ha ha. But whatever gets you there, right? Go Steve O! It’s my belief that the concept of karma crosses the minds of most people who choose a vegan lifestyle for ethical reasons. For me, I believe that abstaining from meat consumption and use of animal products adds to my personal level of inner peace, at the very least. I know that my dedication to a vegan lifestyle allows me to rest much easier when my head hits the pillow each and every night. Does this mean that I believe in karma? I don’t know. 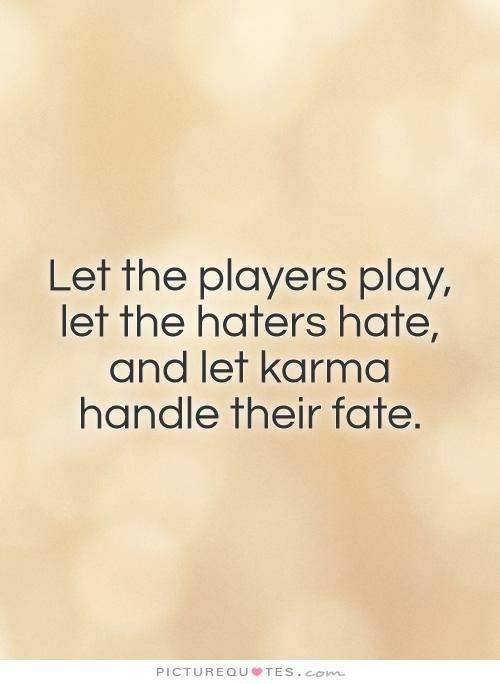 What I do notice is that the word “karma” seems to show up in the names of many vegan businesses such as the “Good Karma Cafe” in Red Bank, New Jersey, or the hot new vegan food truck in Hamilton, Ontario called KarmaChaMEALeon. So the pairing of karma with veganism does appear to present itself quite often. The theory of karma is central to many religions and cultures throughout the world, and the issues surrounding eating and exploiting animals seems to lie at the very heart of the matter. This can really get one thinking, can’t it? 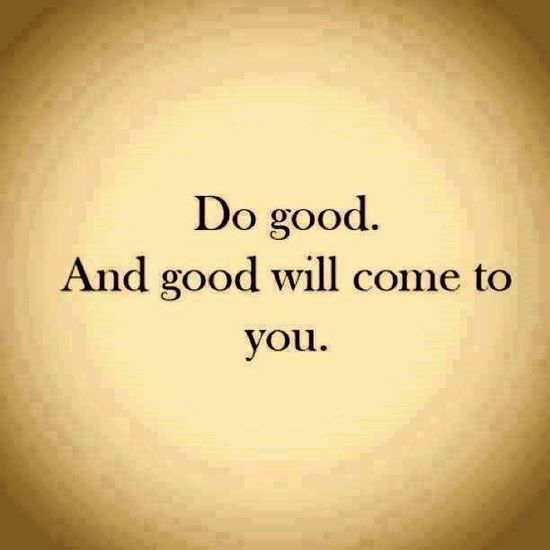 And if you do, my friends, I hope you think about your karma the next time you throw that live lobster into a large pot of scalding hot water, catch a fish for dinner, or stick your fork into that bloody steak on your dinner plate. 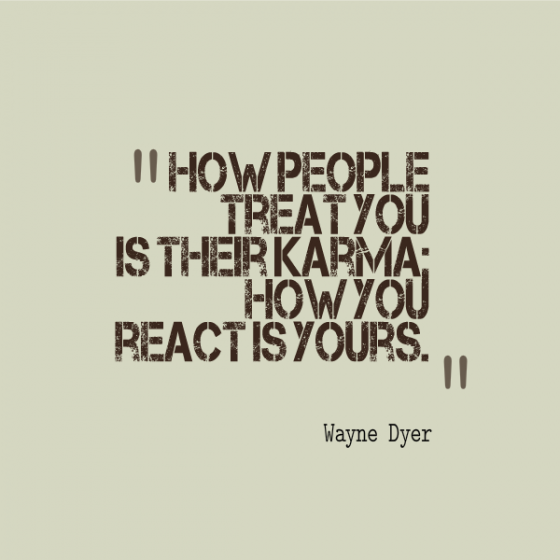 This post is dedicated to my good friends, Sue and Debbie G., who always give me my favorite “answers” concerning the theory of karma. Thank you my friends! 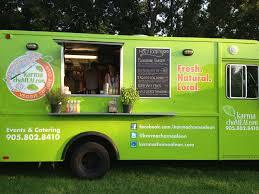 Click here to read about the Karma ChaMEALeon food truck. 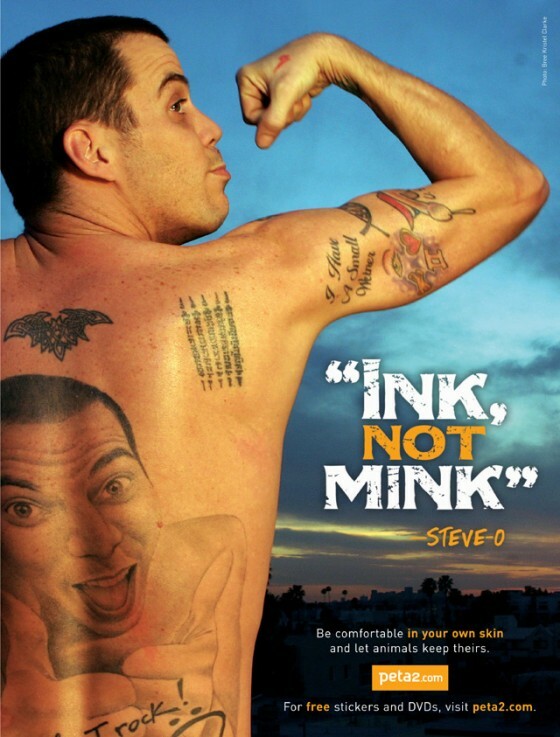 Click here to read the Seattle Pi Article About Steve O Going Vegan. Click here to ready post James Cameron: A Vegan For The Environment. Click here to find out Why Going Vegan Helps The Environment. 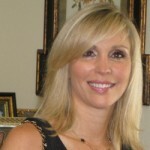 Click here to go to website of Good Karma Cafe in New Jersey. Love the article! You have always treated people with respect and kindness. You too Sue and Karma will work her magic on you, for sure!!!! You too sister! My cat LOVES you! The Hindu philosophy of Re-birth (Punar-Janam) believes that the soul (Atma) is indestructible, and undergoes several cycles of Birth (Janam), Life, Death and Rebirth, taking on a different Corporal-Body, in each Birth. The Corporal-Body lasts only for the duration of that particular Life-time, whereas the Atma is indestructible across the cycles of Birth & Death. In each of its Births, Karma attaches to an Atma, as a result of the Actions & Inactions of that Atma. The Karma attached to an Attma is Cumulative in nature, continuously accruing to that Atma, in each Life-Time, and across the numerous Births & Lives of that Atma. In each of of its Births and Lives, the Atma continues to accumulate Karma, both positive and negative, arising solely as a result of the Actions & the In-actions of that Atma in that particular Life-time. Thus, the Cumulative-Karma attached to an Atma is constantly being updated. The inherent Traits, both Good and Bad, exhibited by a person, in any particular Life-time, are mostly the Manifestation of the Cumulative-Karma attached to that Atma, up until that particular Life-Time. The events that befall an Atma, over the course of any particular Lifetime, are not wholly pre-destined. That is, the events that befall an Atma are determined, partly, by the Cumulative-Karma attached to that Atma, and partly, by Free-Will, which is indeed available to the Atma. Major Life-Events, such as Birth, Family, Death could be a strong-function of the Cumulative-Karma of that Atma, while other life-events may be driven strongly by Free-Will & Choice ! Thus, for instance, it is indeed possible for an Atma to listen to the Voice of one’s Conscience, and choose to walk away from committing a particular act of evil, or from succumbing to a particular temptation. Thus, an act of evil that may be committed by that Atma, was not necessarily pre-destined to happen. In other words, the Atma does indeed have the opportunity to either improve upon, or degrade, its Cumulative-Karma, bu virtue of the Choices that Atma makes, in any particular life-time. In any Life-Time, if properly guided, by means of Instruction from a Learned-Guru, or via Prayer & Self-Meditation (Dhyanam), an Atma associates itself with Noble Thoughts & Actions leading to an improvement in the Cumulative-Karma of the Atma. Thus, in each successive Birth, the Atma can attain a higher-state-of-being, and an improved Cumulative-Karma, until, eventually that Atma becomes completely self-realized and sinless (Abundance of Positive Cumulative-Karma), at which point, the Atma attains Moksha ( Liberation from the cycle of Birth, Life, Death and Rebirth). Thus, any Atma that is actually present on this earth, is, as yet, not without sin, and is at only some intermediate point along this Great-Journey towards becoming a self-realized soul. 1) Child-Prodigies : Whence come Child-Prodigies ? How does one explain the phenomenon of a 4-year-old child playing the Piano flawlessly, or a five-year-old child being able to recite the Bhagwad-Geeta perfectly ? Answer : The Answer is that these Child-Prodigies had accumulated such qualities by dint of their actions, inactions, across their numerous previous-births. The Traits, both Good & Bad, associated with a person, are a manifestation of the Cumulative-Karma attached to that Atma, up until that particular Birth. The Algebraic Sum of Good & Bad Karma (i.e. the Cumulative-Karma) attached to the Atma, accruing across the numerous life-times of that Atma, is such that a particular given trait (such as, Piano-Skills) is now so highly pronounced, at this point in time, as to be of Genius or Prodigy-Level. 2) Why do Bad-Things happen to Good People ? The Answer is that a Person may indeed be an excellent Human in the present Birth, but the Person’s Atma may still have some partially Negative Cumulative-Karma, accrued from across the numerous previous Births of that Atma. This negative Cumulative-Karma attached to his Atma results in a particular negative event befalling this person, who may have indeed led a blameless life in his present-birth. Thus, on the surface, it may seem wholly unfair that a bad thing happen to a good-person, but a deeper-study leads us to conclude that some negative Cumulative-Karma attached to his Atma could be responsible for a bad-thing happening to a genuinely good person. Does being Vegan contribute to improving your Karma ? ABSOLUTELY ! By your Veganism/ Vegetarianism, you are treading that much more lightly on Mother-Earth, and your Karma will most certainly get a huge positive-boost ! Bring out the best in all sentient beings. Thank you for your inciteful opinion. Just discovered your website. May you continue to provide karmic insights. Thanks for the vote of confidence and karma! Thank you for a great article. I was raised in a fundamental Christian home and it wasn’t until I learned about the concept of karma (both good and negative deeds) that life began to make sense to me. Otherwise, why do ‘bad’ things happen to ‘good’ people. A book that brought me great comfort and helped me to move through my negative karma is “Divine Transformation:” by Dr. and Master Zhi Gang Sha. The key is to forgive and be forgiven to transform our negative karma. Keep up the good work!